The Disney Store is marking the 30th anniversary of its grand opening in California with a host of in-store celebrations and limited edition products. Celebrating 30 years since the historic launch of the Glendale, California store in 1987, the firm is offering a line-up of limited edition 30th anniversary products, including a set of special anniversary Tsum Tsums. Meanwhile, in-store celebratory events and activities have been planned for Saturday, April 1st and Sunday April 2nd, revisiting some of Disney’s fondest memories from the last 30 years. “For 30 years, Disney Store has helped fans and families around the world make Disney magic a part of their daily lives,” said Paul Gainer, executive vice president, Disney Retail. “We have continued to evolve and address not only the needs and interests of guests, but also the growing slate of Walt Disney Company brands and franchises, including Pixar, Marvel and Star Wars. 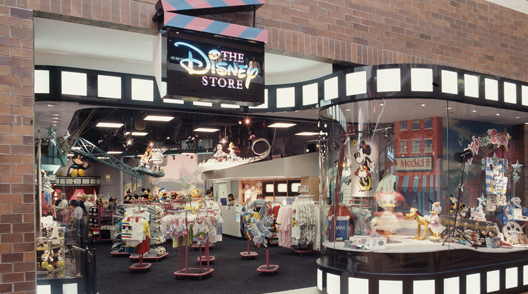 The Disney Store currently operates 340 stores worldwide and ecommerce sites in ten countries.